We should choose the friend that believes in and abide by our religion (Islam) and gives great respect to what Allah (SWT) and Prophet Muhammad (saw) had ordered us. And we should stay away from the one who is not well mannered and gives no attention to what Islam is about or what pleases or displeases Allah (SWT), for he will surely affect us negatively. There is no good if the companion drowns us in sins and displeasing Allah (SWT). The bases for the actions of those who follow the evil ways are corrupt; their actions are built upon misguidance and deviation. Good friends are those who share with their companions both happiness and sadness. If we share our feelings with the wrongdoers whose actions are worthless and based on corruption, then we are following the same ways and standards as they are doing, and we will end up being as corrupt as they are, and then we are in a big trouble, how can we face Allah's (SWT) dissatisfaction and displeasure? Instead of making friends with the misguided ones we should befriend the righteous, yet treat the rest in a gracious and just manner. Staying at sufficient distance is necessary; yet treating everybody in a noble and kind manner is required. The danger of having corrupt friends isn't confined to the worldly life. Such friendships produce repentance on the Day of Resurrection, too! The two main regrets on the day of judgement are (1) Not following Prophet Muhammad (saw) on the path of guidance and (2) Befriending a person who diverted one from the truth. Imam Ali ibn Abi Talib (as) has said: "The felicity of this and the next world lie in two things: firstly, keeping secrets; and secondly, friendship with the good. And the miseries of this and the next world are summed up in two things: firstly, divulging secrets; and secondly, friendship with wicked persons." So take heed before the inevitable day of judgement comes and we are reckoned for our acts. It is wise to choose moderation in dealing with friends. Excessive love and confidence in friends are unacceptable since it happens that a friend may change into an enemy and use the secrets that he had shown as weapons. Imam Ali ibn Abi Talib (as) said: "When you cherish someone you should cherish him moderately for he may be your enemy someday, and when you hate someone you should hate him moderately for he may be your friend someday." Also said: "If you intend to cut yourself off from a friend, leave some scope for him from your side by which he may resume friendship if it so occurs to him some day." Imam Jafar Sadiq (as) said: "The secrets that you must show before your friends are only those through which your enemies cannot harm you, for a friend may change into an enemy." Who should not be befriended according to the philosophy of Islam? When choosing our friends we should ask ourselves first: Are they going to help us achieve the purpose for which we were brought to life? Or will they take us away from it? Will they desire for us Allah's (SWT) pleasure or is that completely irrelevant to them and not their concern at all? Are they leading us to Paradise or to the Hell? 1. Don't befriend a liar (Kadhib). For a liar is like a mirage. He shows the distant as near and the near as distant. He will always deceive you and trouble you. 2. Don't befriend a transgressor (Ghasib). For he will forsake you for a paltry sum and make your sins appear very alluring to you. He will make you a victim of Allah's chastisement through his petty sins and take you farther away from His obedience and satisfaction. He will make Allah's worship appear as His disobedience, and His disobedience as His worship. He will drag you along with himself in the fire of hell. 5. Don't befriend the one who breaks relations (with his relatives/Khata Rahmi). 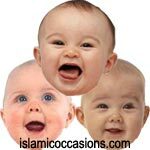 For, such a person has been cursed in the Noble Qur'an in three places. He is engrossed in his own affairs with scant regard for others. (Friendship with such a person will eventually lead the individual towards sins and disobedience of Allah)"
Imam Ali ibn Abi Talib (as) said: "Do not befriend a sinner (Fasiq/Fajir) because he will sell you for a morsel." Imam Sajjad (as) said: "Do not make anyone your enemy even though you consider him harmless and do not turn down a person's friendship even if you think he will not benefit you." 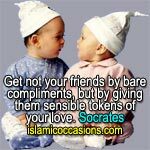 The two Qur'anic verses mentioned above only go to show how critical a role friendship can play in our lives. A true friend then, is the one who takes us closer to Allah's (SWT) compassion and grace. 4. He must give his friendship (with you) priority over all his worldly possessions. In other words in times of adversity, he must be willing to give his all to redeem you. 5. He must never leave you alone in times of misfortune and distress." Those that are necessary like nourishment and you cannot live without them; those that are like medicine and are beneficial, so you need them sometimes; and finally, those that are like a sickness and you do not need them at all! Prophet Muhammad (saw) has said, "The believer is like a mirror to other believers (in truthfulness)." Like a mirror, your friend gives you an honest image. He forgives your mistakes, but does not hide or exaggerate your strengths and weaknesses. Once Prophet Muhammad (saw) was asked, "What person can be the best friend?" "He who helps you remember Allah (SWT), and reminds you when you forget Him," the Prophet Muhammad (saw), counseled. Imam Ali ibn Abi Talib (as) said: "A friend cannot be considered a friend unless he is tested on three occasions: in time of need, behind your back and after your death." Imam Jafar Sadiq (as) also remarks, "My best friend is the one who gifts me my weaknesses and shortcomings." In other words one who brings to your notice your defects and flaws is indeed your true friend. However, there is one very imperative point in the above-mentioned tradition of Imam Jafar Sadiq (as). When one presents an offering to a close friend, he does so with utmost care, not willing to overlook anything. He offers the gift with total respect and regard. For, even the most valuable gift if not presented with correct etiquette, can look very ordinary. While presenting the offering, the friend tries to make the most expensive gift seem very ordinary so as to not embarrass the recipient. On the other hand, the recipient of this gift tries to make even the most ordinary gift seem very precious, so as to please his friend. Similarly, when we wish to point out certain shortcomings to a friend, we must do so with a degree of respect and sincerity. Our sole intention must be to reform the friend and there should be no hint of any malice and self-righteousness. Likewise, when a friend highlights for us, our defects, we must acknowledge the same with respect and gratitude without any ill will and hostility. Imam Hassan Askari (as) Says: "Those who advise their friend secretly are respecting them, and those who advise them openly are humiliating them." Indeed if we establish these as the standards of friendship, the believers shall soon find themselves enveloped with friends who will take them closer to Paradise and farther away from the fire of hell. There are certain tips to remember if you wish to keep a stable friendship. Do not dispute with him and do not be hostile to him. Do not ridicule him. Do not quarrel with him. Instead accord friends the respect they deserve. Imam Hassan (as) Says: "Befriend people in the same manner you would like them to befriend you." Do not hold him in contempt nor consider him to be lower than you. Instead guard the honor of your friends during their absence and after their death. Do not claim precedence and supremacy over him. Instead forgive the short-comings of your friends, because everyone makes mistakes in life. Do not crack indecent jokes with him. Finally, we ask Allah (SWT) to make us of the righteous ones and give us companions that will take us away from His Wrath and lead us to His Pleasure and Paradise.